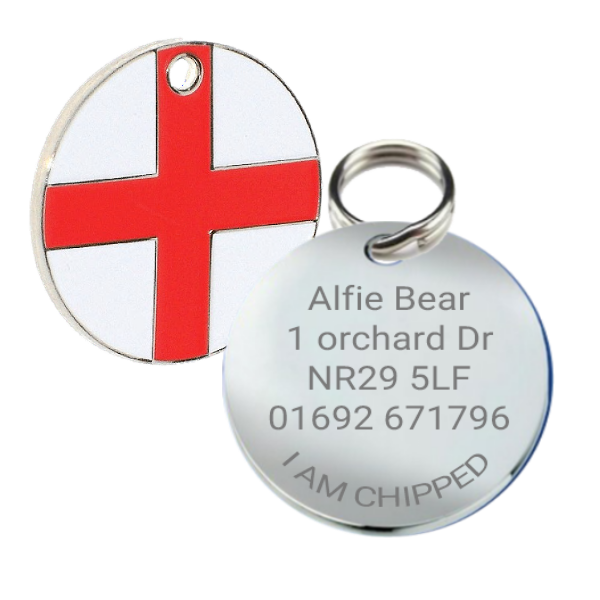 Our St George pet tag for dogs are the perfect British way to yours and your dog’s personality. Now, your pooch can strut their stuff and even if they were to wander off they can find their way back to your heart in no time at all with the deep engraved personalised inscription. 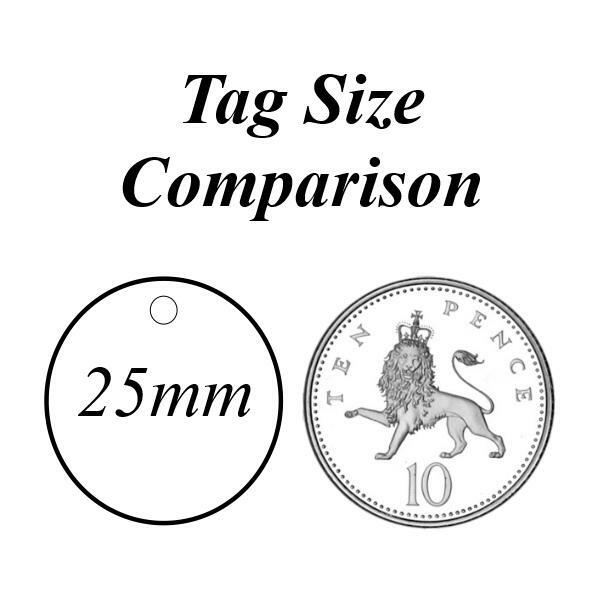 We ship our tags out with a free split ring, allowing easy attachment to your dog collar. We will Deep Engrave these tags with your inscription. We suggest a maximum of 5 lines of text with 14 characters per line. if you use more than the suggested amount the text will be smaller to read.